Our family Camping by Arsiè Lake comes with a private beach, playground, bar, restaurant, maxi-screen for sports events and mini market. These services let families experience a holiday of pure relax far from the daily hustle and bustle and plunged into the greenery, serenity and entertainment. 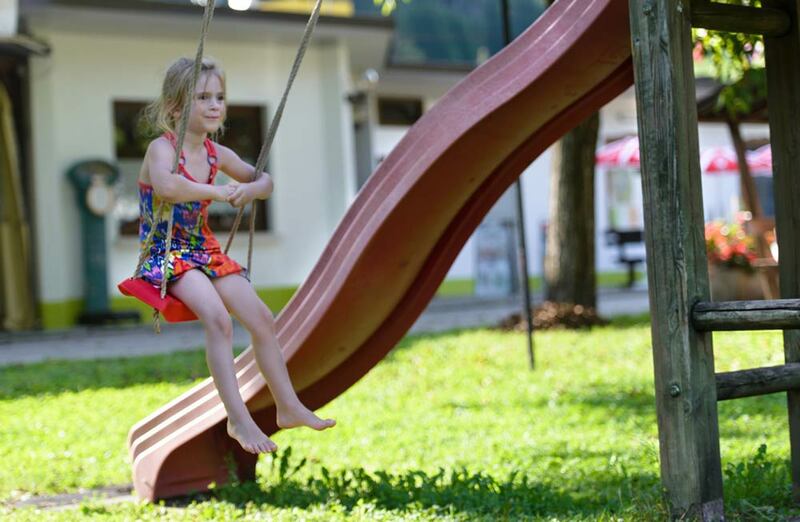 Our Camping Village provides a well-stocked Minimarket offering every type of product to all who spend their holidays on Arsiè Lake near Belluno. Every morning we de light our guests with freshly baked bread. At the Minimarket you can always find local produce and have a chance to take a 360-degree immersion into the local wine&food culture or buy your holiday flavours as souvernirs. The restaurant is a pleasant place plunged into the greenery appreciated by visitors who can taste meat and fish delicacies our chef prepares daily.At Ristorante al Lago (Al Lago Restaurant) you will sample the best recipes of the Italian and Venetian recipes. Those who love pizza will have a chance to taste beautiful pizzas prepared with fresh and healthy ingredients cooked in our wonderful wood-burning oven.